As part of the Seasons of the Soul series it has been suggested that I talk about transitions in some sense this morning, but I’m also conscious that today is Bible Sunday, that Halloween is coming and that 31st October is the 500th Anniversary of Luther making public his 95 theses and thus starting the Protestant reformation. I’ll be making reference to all of these in what I say this morning but whether I address any of them appropriately will be up to you to decide. As part of the Seasons of the Soul material we’ve been asked to reflect on transitions in our own faith lives. I’ve certainly been on a journey with God but it has generally been a process of gradual transition rather than any “blinding light” revelation. Perhaps the most fundamental transitions were early in my life. I was born into a church family with a father who was a local preacher and a mother who was Sunday school superintendent. In my early teens, however, I decided to stop going to church. There was probably an element of revolt against parental authority in this and it can’t have helped that I was one of very few boys of my age at the local church. At least equally important, however, a growing awareness of a disconnect between what I was being taught in science lessons at school and what I was being taught at church and in Sunday school. I didn’t go into a church after that for the best part of a decade. I completed a degree in physics and theoretical physics, then a PhD and embarked on a career of scientific practice and research ending up as a university professor. I am, to my very deepest roots, a scientist. In my early twenties I felt something, something I would now describe as God, calling me back to the church. An important part of that transition was learning how to become a Christian and a scientist at the same time. It’s been a slow progress to feel truly comfortable being both. Sometimes I’ve been helped by the Christians I’ve encountered on my journey and sometimes, to be quite honest, I’ve found other Christians a particular hindrance. Eventually though I’m happy with the position I’ve arrived at and thought it might be worth sharing in case it is helpful to others. When presented like this the idea seems so obvious so why haven’t we started to think about things in this way a lot earlier. One answer of course is that many theologians have, but I think a large factor preventing others doing the same is that it requires theologians to have a better understanding of science than most do at present. In Britain at least we have a model of education that assumes that you specialise in either the sciences or humanities from quite an early age and those who go on to study theology tend, as a consequence, to have a poor understanding of science. I think another issue is that the amazing success of science can feel like a threat. It can feel as if religion will be overwhelmed by science. To face this we need confidence that science and religion address different questions. There are questions which in the modern world science answers much more convincingly than religion but the are other questions which science can give no insight into whatsoever. This is a picture of Snowdon and the Crib Goch ridge. Science can tell us of how the mountains were created by geological processes and weathering over an unimaginably long period of time, but it cannot tell us that the result is beautiful, because science has no concept of beauty. 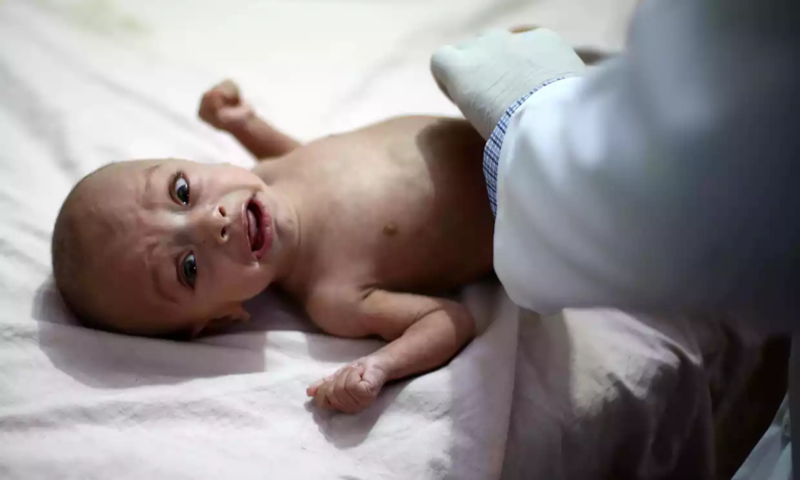 Science can tell us how this child in a Syrian hospital is suffering from malnutrition because he is not receiving the appropriate nutrients, but it cannot tell us how that child’s life is valued by his parents, because science has no concept of value. This is a picture of my daughter and her friend at Windgather Rocks. Science can tell us that those variations in the colour of the sky arise because dust particles in the atmosphere scatter the sun’s light differentially depending on its wave length, but it can tell us nothing of the joy that is causing those two girls to leap into the air and celebrate, because science had no concept of joy. Science and religion tell us very different things, and those of us who are religious need the confidence to assert that what relation tells us is far more important. The final issue with this way of looking at theology is that, at times, it appears that science and scripture disagree. Given that it is Bible Sunday it is probably appropriate that we finish by looking at this in a little more detail. I think the key to this is to realise that the Scripture and Science have different objectives. The aim of science is to give an objective explanation of how the world is, something we might call literal scientific truth. Scripture on the other hand was written, primarily, to embody a vision of God, something we might call religious truth. If we approach the Bible looking for literal scientific truth then we are going to come away disappointed because even though it was inspired by God it was written by people in a pre-scientific age. On the other hand if we approach the Bible looking for religious truth then we are going to come away empowered by the writings of the most inspired religious geniuses that have ever lived. Let’s illustrate this by the story I told you earlier, the story of creation. Scientists tall us that the universe was created about 14 billion years ago in unbelievably short event which we now call the Big Bang. The sun was created about 4.5 billion years ago when a great gas cloud condensed and earth was created a little later as a byproduct of this progress. Scientists are a little less sure about how the moon came into being but the most likely explanation is that it was produced when an object the size of Mars collided with earth. None of this maps on to what we read in Genesis but we shouldn’t expect it to. Genesis was not written by people who had any knowledge of astrophysics, it was written by people who wanted to express the significance of creation. If we want to find out what that significance was we have to read the Bible in a different way and seek out the religious truth that is embedded within the story. To do this we look at the text and find that one short phrase is repeated seven times, “and God saw that it was good”. The religious truth embedded in Genesis is not that the universe was created in six days but that the universe is Good. Science has no perspective on the universe as good, bad or indifferent. Only religion can tell us that the universe is good. If we free ourselves from the expectation that the Bible must be literally and scientifically true then we are liberated to appreciate the religious purpose for which it was written. Not only that but we reach a conclusion that almost all humans on this planet can agree with instead of setting ourselves up for losing another battle with science. There is a tendency to think that if we admit that the Bible is not literally and scientifically true that it is diminished in some way, that it is less than true. My favourite theologian, Marcus Borg, states this differently. He sees the writings of scripture as “more than true“. The significance of the religious claims in the Bible is far more important than the question of whether the stories are literally and scientifically true or not and it is only if we can free ourselves to concentrate on this that we will be able to appreciate what those claims are. So over the next weeks and months, when you pick up your Bibles and come across those passages where what is written seems to contradict a scientific understanding of how the world is, pause for a moment and seek out the religious inspiration of the original author. Don’t worry about what is less than true, focus on what is more than true. Problems in Biblical interpretation will dissolve in front of your eyes which will be opened to a new and fresh understanding of our faith which speaks powerfully to the modern world out of the experience of the ancient world. That understanding is based on justice, mercy, faith, hope and love, five concepts which science can tell us absolutely nothing about, but which are infinitely more important to us as humans than any of the 2.5 million scientific papers published each year.